“Practice random acts of kindness and senseless acts of beauty.” This was the phrase, jotted down on a placemat in a café in California, that triggered a movement. You’ve probably heard of this phenomenon by now, where individuals pay for the meal of the next person in line or take a moment in the day to give a compliment or say a kind word to a stranger. These acts of kindness tend to have a wonderful chain reaction and can change a person’s day (maybe even their lives). Antennas Direct loves acts of kindness and we want to celebrate as the world recognizes Random Acts of Kindness Day on February 17th, 2019. You can join us in the celebration by sharing your stories with us! Who has been kind to you recently? Do you know someone who’s gone out of their way for you or someone else, and you want to pay it forward? We’re looking to honor individuals who have embraced kindness, perhaps made it a habit – and really, made kindness not so random. 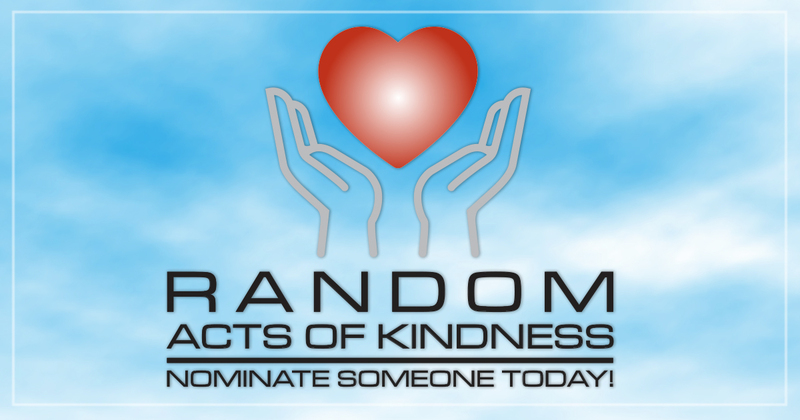 Visit our website to submit a nomination for the person you would like to recognize on Random Acts of Kindness Day. Follow the instructions on the form and tell us their name and why you feel they go above and beyond to demonstrate kindness to others. It can be everyday anecdotes or through a cause they’ve embraced and work tirelessly to support. Kindness comes in many forms! Comment and tag the person and their favorite charity on our social media post, using the hashtags #KindnessStartsWithOne and #RAKDay. Share the post to encourage others to nominate their favorite ambassador of kindness! A $500 donation from Antennas Direct to the non-profit of their choice (must be an officially registered charity or non-profit, recognized by the US government). An HDTV antenna of their choice from Antennas Direct. A ClearStream® TV Wireless TV Tuner Adapter. If your nominee wins, you will also receive one of our HDTV antennas of your choice and a ClearStream® TV Wireless TV Tuner Adapter! Why is Antennas Direct celebrating Random Acts of Kindness Day? We believe in spreading kindness and doing good for others. That’s why we’ve worked since 2004 to try to create awareness about free TV with an antenna and to liberate millions of people from bad relationships with cable TV and put billions of dollars back into the hands of American people. It might not sound like much, but it means a lot to us to share the knowledge that you get free broadcast TV with an antenna, so you can save hundreds of dollars. We know this affects just one part of people’s lives, so we want to highlight and share the many stories of kindness happening every day! What random act of kindness do you want to share? Tell us about it before the nomination period closes on Random Acts of Kindness Day, February 17th.